Save the Date postcards are a great way to send your guests a reminder about an upcoming event such as a party, shower, reunion or wedding. 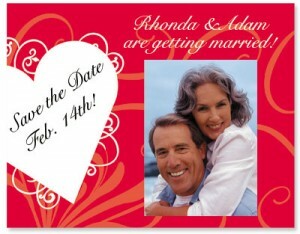 PaperDirect has an extensive line of save the date postcards in a variety of styles and designs, sure to please all different types of tastes. Save the date postcards are standard size (3.5″ X 2″) and allow you to send out an informal reminder once the formal invitations have gone out. The large selection of designs allows you to express your personality and sense of style while reaching a large number of people in no time at all. We have save the date postcards in vibrant, festive colors, and we have more subdued, earth-toned save the date postcards for a more conventional look. Our selection includes balloons, daisies, daffodils, tulips and black tie-themed save the date postcards, and with such a large variety of postcards from which to choose, you’re sure to find one that’s perfect for the wedding or other event you’re hosting. 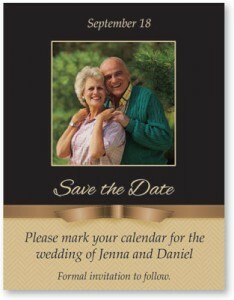 Save the date magnets are hugely popular, and PaperDirect has a number of those to choose from, also. 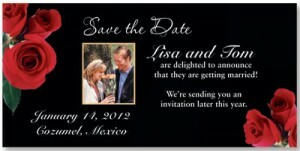 Take a look at our vast selection of save the date magnets and find one that matches your invitations. If you’d like to read more creative DIY save the date ideas, check back to the PaperDirect blog in the coming weeks for more great ideas to save the date! Inexpensive DIY Wedding Invitation Ideas That Wow!